Oxford phonics expertise tucked inside funny stories. More essential than a shiny satchel. Hey, little people. Do you know that phonics are really important for the curriculum at school? Not only that, but they give you amazing reading practice. And that’s where this box set comes in. Eight funny books about Biff, Chip, Kipper and Floppy; the perfect thing to get you in a reading mood. 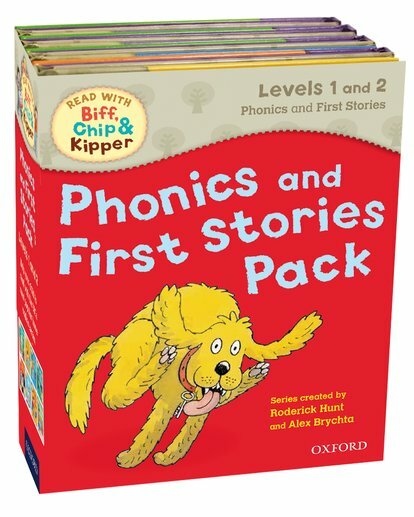 These colour hardbacks boost your phonics skills – a must for school and home. Plus, they come in a smart slipcase that you’ll feel proud to own.